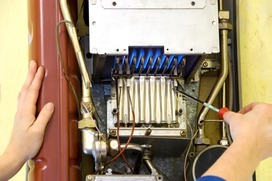 It couldn't be easier - to get your boiler serviced by a Gas Safe registered engineer, a quick call to Fox & Co, and we will advise you on any aspect of servicing and if we think you require a boiler service. A copy of the current safety certificate (CP12), is issued to each existing tenant within 28 days of the certificate being completed, or to any new tenant before they move in. The certificate can also be displayed in a prominent position within the property.